We want LIFE Groups to be a place where people are connected in, gathering together with other followers of Jesus and become integrated into the life of the church. Thriving LIFE Groups where people feel completely part of them are beautiful things to behold. One of the great things about these groups is that people want to be a part of them and therefore they find it easy to draw those on the fringe in. This type of integration takes time and commitment but there are a number of things that we can do to help cultivate a culture of integrating our group members in. Here are some suggestions. This isn’t advice for you as leaders, just to keep your strength up. Eating regularly as a group is vital to shaping a healthy group. Over a meal conversation will flow in such a way that people are drawn into the group. As you involve people in the preparation of the meal and the clear up afterwards people will feel a part of the family and that will do wonders for helping them integrate in. There are obviously occasions when this is not appropriate but in general when LIFE Groups gather there should be a lot of laughter. There should be a sense of fun as people enjoy each other’s company. The more you get to know each other and the less you’re able to take yourself too seriously the more your group will feel at ease to laugh. Doing fun social events as a group will also really helpful to put people at ease in your group. Groups go through seasons and one size fits all in terms of when/how you meet doesn’t exist. It is important for groups to realise what season they’re in and adapt the way they do things accordingly. Probably one of the most difficult seasons of life for maintaining a regular time where everyone can make it is when those in your group have children, and particularly young children. Having a rhythm where you meet separately as boys and girls, followed by you all together and something at the weekend to include kids can work really well for example. 4. Encourage people onto the Connect course. 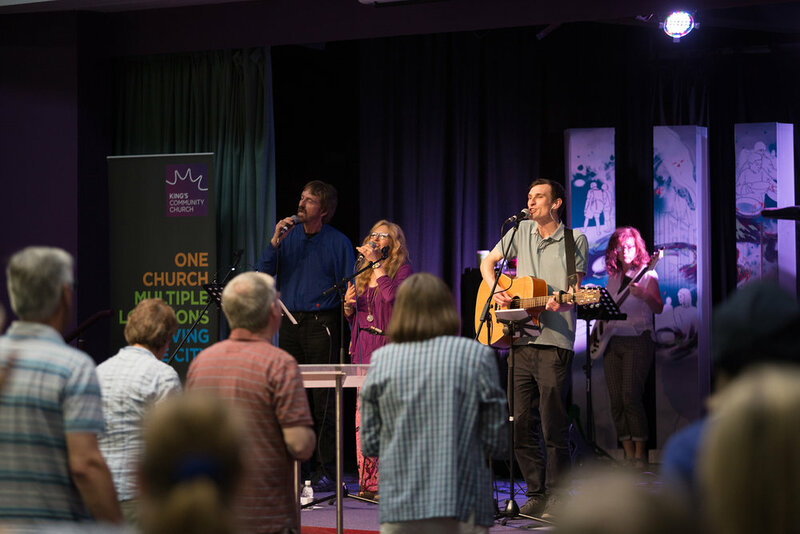 Exploring and becoming a member is a vital part of fully integrating into the church family at King's. Connect is a very low commitment opportunity for people to find out more about King's. They are not signing up to membership by doing the course. The dates are advertised well in advance so communicate these to your group as early as possible so that people can get the date in their diaries. Find the next date HERE. you could also offer to go along with them if they feel a bit nervous about going on their own.